Flat roofing contractor with experience! Our flat roof experts are knowledgeable in all flat roofing systems. We are an authorized applicator for Carlisle Syntec and have received the Certificate of Achievement from Versico. We are certified with Mule Hide, GAF Commercial, GenFlex and Metal Sales for commercial roofing installation. 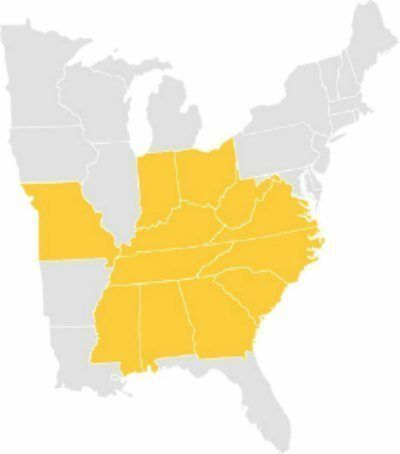 We don’t like to brag but we consider ourselves to be the expert flat roofing contractor headquartered in Nashville TN and serving the entire Southeast portion of the United States! No matter what type of flat roofing system you may have, we are the commercial roofing contractor for the job! We are a flat roofing contractor certified in Single ply roofing systems, installed by a certified roofing contractor like MidSouth Construction, are the best choice when the building structure needs a lightweight roofing system, structural movement is anticipated, an existing membrane is in place that needs to be covered, or extreme cold temperatures are present. Flat roof systems can be installed with an EPDM or TPO roofing system. Both are excellent flat roofing systems with their own special attributes to consider. EPDM is a resilient roofing system that is exceptionally strong. We are a flat roofing contractor with experience in EPDM flat rofoing. It is one of the best solutions that is affordable, sustainable and energy efficient. When installed correctly, an EPDM roof has an average life span of 20-30 years or even longer! We are a certified roofing contractor and can install an EPDM flat roof on your commercial property that will provide years of maintenance free protection! EPDM roofing is commonly referred to as a rubber roof. An EPDM roof is a single-ply roofing system and has many advantages over other commercial roofing options. It remains flexible at extreme temperatures and can be installed quickly. EPDM material resists deterioration from exposure to ultraviolet radiation. An EPDM roof can be installed mechanically fastened, ballasted, or full adhered. Commercial contractors have been turning to the EPDM roofing solution for more than a half century. Its easy installation and low maintenance requirements has helped the EPDM roof gain industry wide acceptance. MidSouth Construction is a commercial roofing contractor experienced and certified in EPDM flat roofing. EPDM is also a popular roof system for commercial property owners for many reasons. Lightweight resulting in less weight on the building structure. As a top flat roofing contractor we have installed numerous TPO flat roofs. TPO roofing is a single ply membrane roofing system similar to EPDM. A TPO roof has the same benefits of an EPDM roof but has some additional characteristics. A roofing contractor can install a TPO roof and it can be heated and reshaped numerous times which makes it stand apart from an EPDM roof. A TPO roof is often referred to as a seamless roof and is comprised of a single ply membrane using thermoplastics. The edges of a TPO roof can be fused or melted together forming a tightly bonded seam. This is different from the EPDM membrane which is seamed together using an adhesive product. TPO roofing is also available in a wide range of colors compared to EPDM which is available in black or white. We are a commercial roofing contractor certified in all types of TPO roofing. Built up roofing systems have been used for more than 100 years and are commonly referred to as BUR or “tar and gravel” roofs. A Built-up roofing system (BUR) is one of the oldest and most durable systems available. BUR systems are comprised of multiple layers of bitumen and a reinforcing fiber called ply sheets or roofing felt. The bitumen used in built up roofing can be asphalt, tar or cold adhesive. The number of plies in a cross section is referred to as the number of plies on a roofing system. The bottom base sheet, can be mechanically fastened but a BUR is generally considered to be adhered if applied directly to the roof deck or insulation. A built up roof, or BUR, is easy to repair and resistant to damage that can be caused by hail, wind and snow. The surfacing materials used on a BUR can be many different components such as gravel, glass-fiber or mineral surfaced cap sheets, hot asphalt that is mopped over the entire surface, elastomeric coatings, paint, or aluminum coatings. Surface coatings provide additional benefits of lowering heating and cooling costs when a reflective material is used to reduce the impact of UV radiation. Many commercial roofing contractors are not experienced in elastomeric roof coatings. We are a roofing contractor that is experienced in all types of roofing, including Elastomeric coatings! Elastomeric roof coatings is a liquid that is spray-applied and cures to form a seamless elastomeric membrane designed to seal and protect the entire existing roof. The energy efficient reflective product can help reduce building temperatures. This durable product is virtually undamaged by extended exposure to solar ultraviolet energy. Ultraviolet rays actually enhance curing. An elastomeric coating is designed to protect and waterproof all types of existing commercial roofs including metal, copper, PVC, wood, transite and even concrete roof substates. Elastomeric coatings come in a wide range of colors to meet your specific commercial roofing needs.